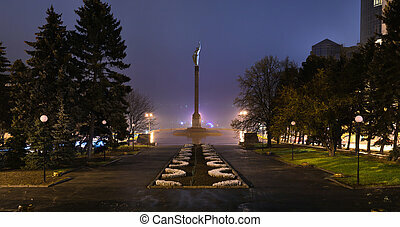 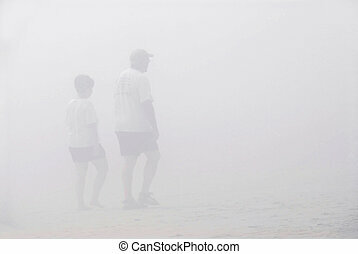 Fog walk. 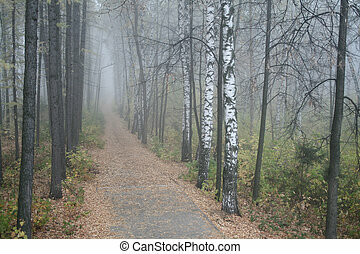 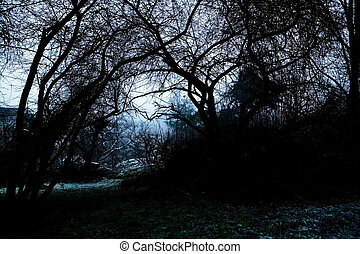 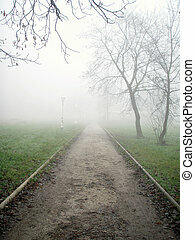 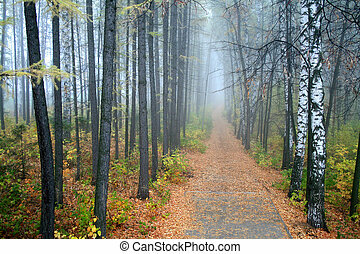 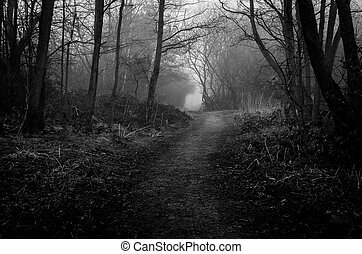 Walk in the fog. 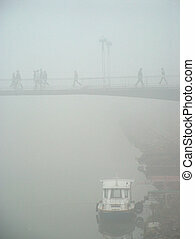 People walking across footbridge. 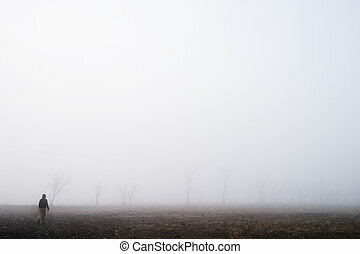 The fog is thick. 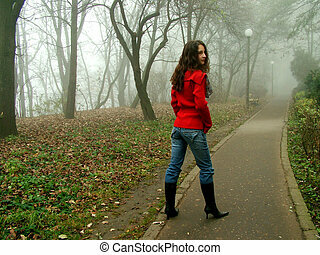 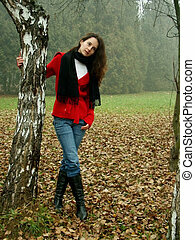 A girl walking next to a forest. 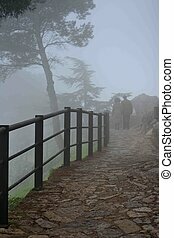 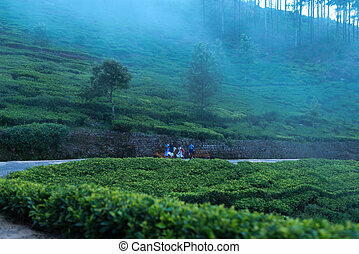 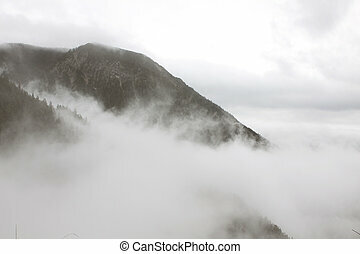 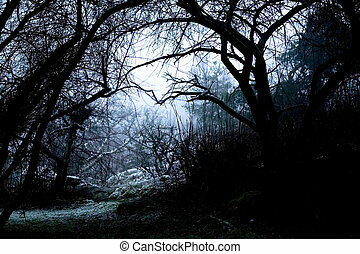 Climbing up a steep hill in the fog. 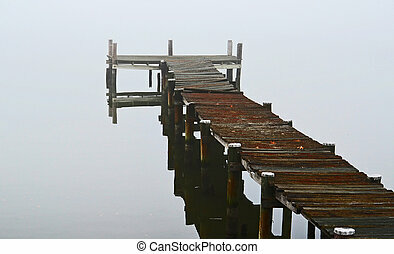 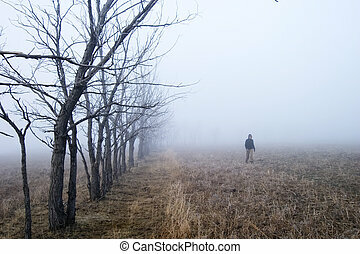 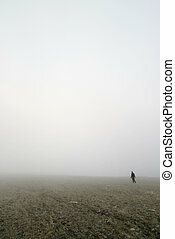 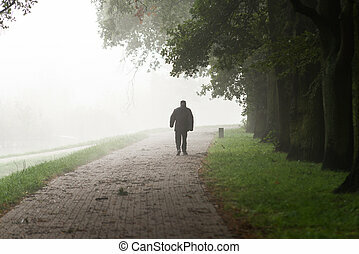 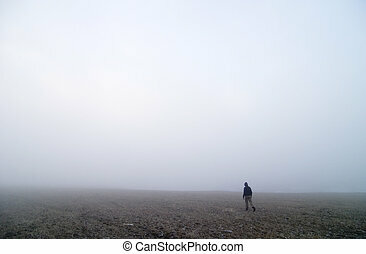 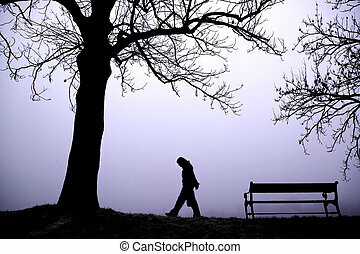 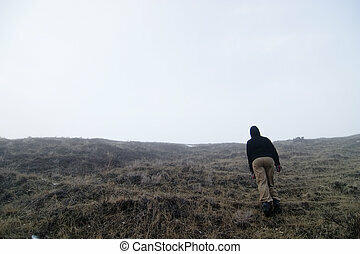 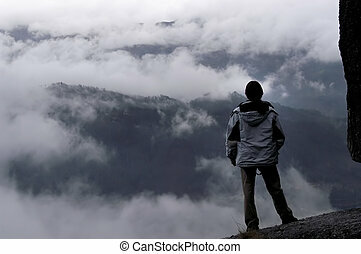 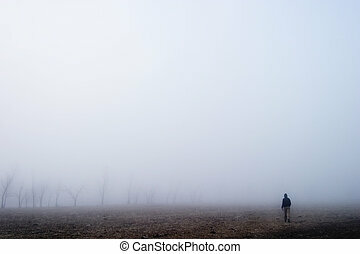 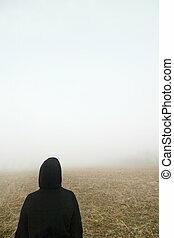 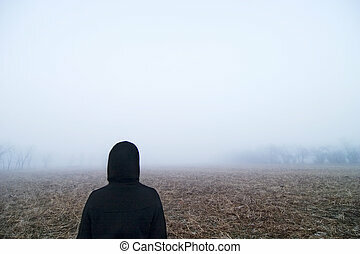 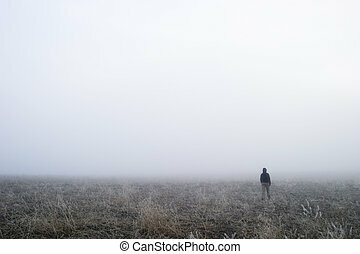 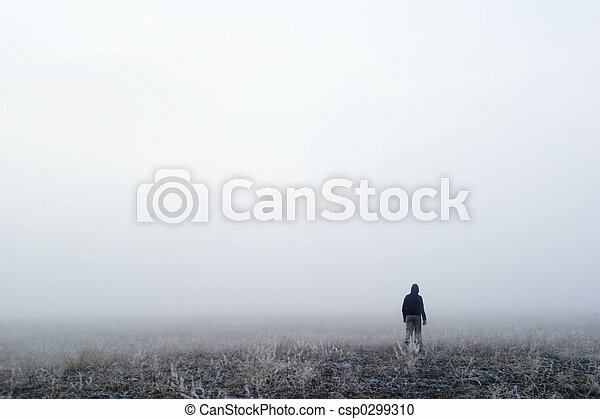 A person walking in the fog, disappearing into the distance. 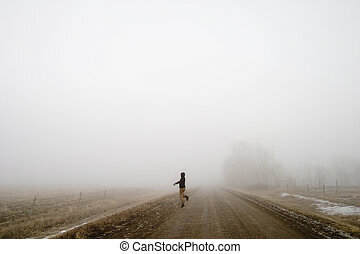 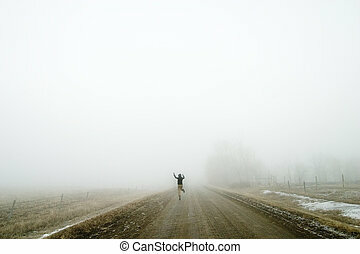 Walking alone on a saskatchewan road in the fog, and jumping for joy.